In the south-western part of the Aral Sea on the former Renaissance island found fresh water, reports UzA. On October 19, Uzbek President Shavkat Mirziyoyev and Russian President Vladimir Putin launched the construction of the first nuclear power plant in Uzbekistan. WHY CLIMATE CHANGE SO DIFFICULT TO DECIDE? The problem is such an unprecedented scale and undecidability that current methods of solution is not commensurate with her. In the past decades, humanity has caused significant damage to Earth's ozone layer, which protects all life of the planet from the harmful ultraviolet light. The widespread use of Freon (hlorfluorokarbon) called occurring as the main reason. At the 72nd session of the UN General Assembly, President of the Republic of Uzbekistan Sh.M. Mirziyoyev drew the attention of the international community to one of the most pressing environmental problems of our time - the drying up of the Aral Sea and called for active consolidation of international efforts to overcome its consequences. The next event of the International Press Club was dedicated to the 73rd anniversary of the United Nations. It was attended by senators, representatives of relevant ministries and agencies, the diplomatic corps, international organizations, and journalists. The Center for Hydrometeorological Service under the Ministry of Emergency Situations of the Republic of Uzbekistan is working on 10 project ideas related to issues of adaptation to climate change, for their subsequent submission to the Green Climate Fund. Uzbekistan intends to ratify the Paris Agreement to the United Nations Framework Convention on Climate Change. The new project, implemented within the framework of Surkhandarya Region Development Concept for 2019-2030, will allow to supply consumers with low-cost electric energy. The station will be built by Etko Co. Enerji A.S. of Turkey. Scientists University of Alberta (Canada) found that the amount of carbon dioxide emitted into the atmosphere during the melting of permafrost underestimated due to weathering liberated from ice rocks with sulfuric acid. Today, with great satisfaction, we can state about the beginning of a new stage in the development of the socio-economic development of the Aral Sea region, and the solution of water and environmental problems in the region. 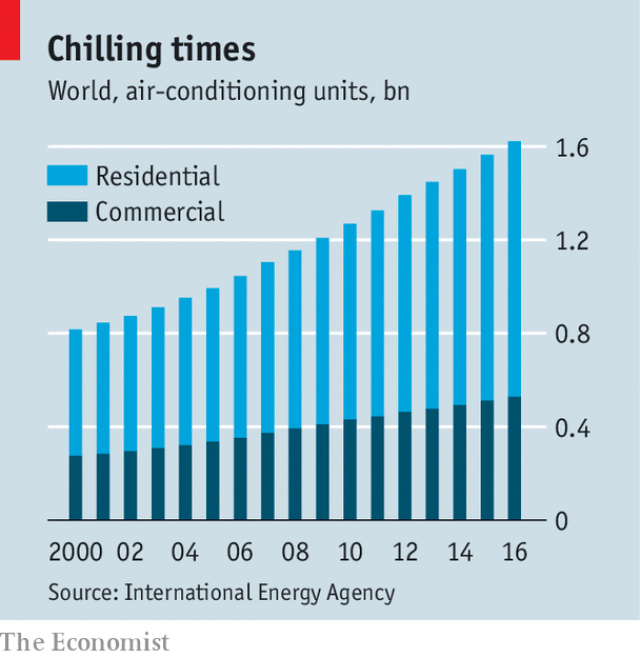 Air conditioners work fine, but costly for the environment. The rapid growth of their use makes it necessary to limit the damage. Most of the plastic food containers that householders wash out after use and put in the recycling bin cannot actually be recycled, it has emerged. The mixture of plastics used in many yoghurt pots, ready meal trays and other containers limits the ability of councils to recycle them. A year has passed since the day of the most important event in the history of the parliament of the republic - speeches of President Shavkat Mirziyoyev at a video-conference meeting on July 12, 2017 with the participation of members of the chambers of the Oliy Majlis, representatives of political parties and the Ecological Movement of Uzbekistan, local Kengash of People's Deputies. Turkmen Lake "Altyn Asyr" (Golden Age) - an artificial body of water in the north, a unique man-made lake, complex hydraulic structures.Construction of the lake began in 2000 and included three stages. In June 2017, Central Asia was suddenly in the spotlight on the world stage renewable energy. 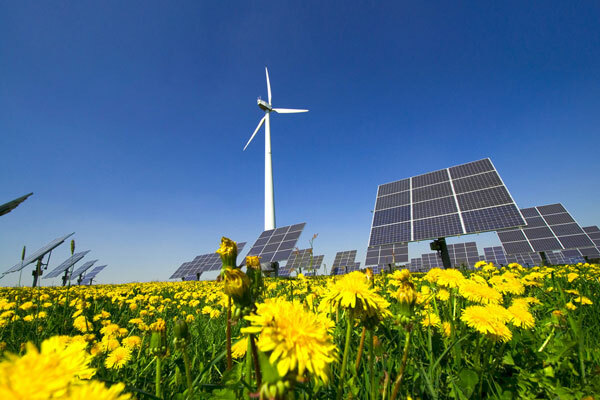 International Renewable Energy Agency (IRENA), as well as the Ministry of Energy of Kazakhstan, Uzbekistan, Tajikistan, Kyrgyzstan and Turkmenistan have made commitments to strengthen renewable energy. This week, President Braga attended two major events in Uzbekistan. Firstly, the Central Asian International Environmental Forum on “Strengthening the Cooperation in the field of Environmental and Sustainable Development in Central Asia” which was organised by the Regional Environmental Centre for Central Asia. For World Environment Day by the UN Environment Program released a report posvyaschennoy- contaminated plastic waste. The Aral Sea was a source of prosperity for the Karakalpak people. By area, it occupied the fourth place after the Caspian Sea, the Lakes Upper in North America and Victoria in Africa. ... And talking about almost a log consensus of Western, especially US - climatologists relatively unconstrained hand-made global warming supposedly coming. Not at all! The other day solidly American business newspaper "Wall Street Journal" published an article of Honorary Professor of Environmental Sciences of the University of Virginia Fred Singer (of Fred Singer) . Activities of the Green Organics agricultural company in Bostanlyk district of Tashkent region are expanding from year to year. The President of the Republic of Uzbekistan signed a decree "On measures to radically improve the system of seed production in the Republic of Uzbekistan". The United Nations Food and Agriculture Organization (FAO) recently hosted the thirteenth session of the Commission on Phytosanitary Measures in Rome. "DO NOT NEED MORE OIL"
Scientists have created an enzyme capable of destroying plastic, especially well it copes with plastic bottles. This achievement will allow to cope with the huge number of plastic polluting the planet.On the results they told the journal Proceedings of the National Academy of Sciences. Are environmental issues addressed together the efforts of all countries of the Central Asian region? 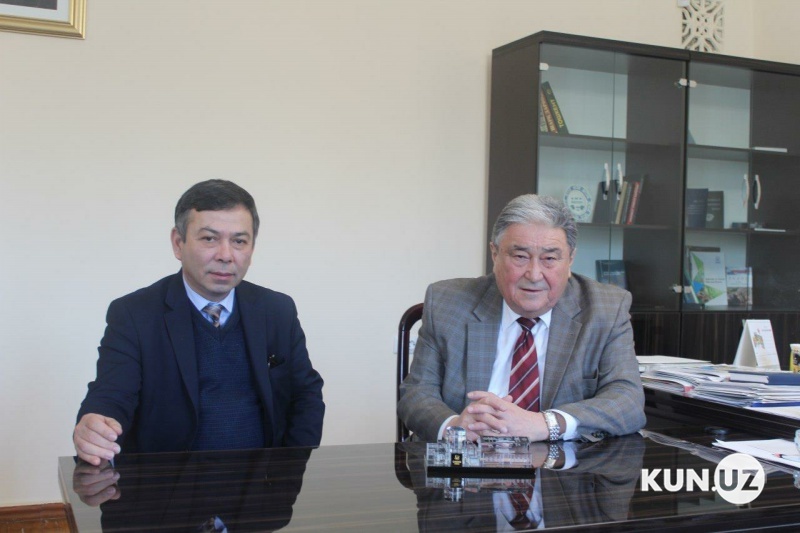 This - a conversation with the chairman of ECO Forum of public organizations of Kazakhstan, an expert in the field of international environmental law Vadim Ni. Kashkadarya region intend to grow export-oriented products, particularly pepper on an area of 5100 hectares. The role of exporting enterprises is important in implementation of such a large project. The lower house of the Tajik parliament supported the draft amendment proposed by the government of the country to the law on the safety of hydraulic structures. The title of this article is far from a slogan, it is rather the reality of the existence of all life on the planet Earth. Not accidentally, one of the 17 Sustainable Development Goals of the UN was defined as “Clean Water and Sanitation”, which envisages providing access to safe water and sanitation for all. It gives me great pleasure to participate in such a representative forum, devoted to the issues of cooperation between Uzbekistan and the European Union, implementation of the EU Strategy for Central Asia and its updating. India's southern state of Tamil Nadu is poised to become a global leader in wind power, according to a new report. But first the state must overcome its addiction to coal, writes Nityanand Jayaraman. At the meeting, held on February 2 under the chairmanship of President Shavkat Mirziyoyev, instruction was given on introducing clusters for collection and processing of waste in 9 cities of the country this year. Activity of a cluster organized in Surkhandarya region was given as an example. The global warming observed in the world will further exacerbate the situation in the zone of the Aral Sea, which already suffers from the arid climate, said Sadirzhan Djakbarov, deputy chairman of the committee on agrarian and water management issues of the lower house of the Uzbek parliament. CIS Economic Council of 15 December 2017 approved and decided to submit for the consideration of the CIS Heads of Government Council a draft intergovernmental agreement on e-waste. A forecasting tool reveals which cities will be affected as different portions of the ice sheet melt, say scientists. It looks at the Earth's spin and gravitational effects to predict how water will be "redistributed" globally. "This provides, for each city, a picture of which glaciers, ice sheets, [and] ice caps are of specific importance," say the researchers. 85 per cent of Uzbekistans territory go to desert and semi-desert, hence the country has accumulated rich experience in establishing harmonious relations between man and the desert. On the results achieved in this area told scholars and experts at the panel discussion organized in Tashkent timed to the World Day to Combat Desertification. 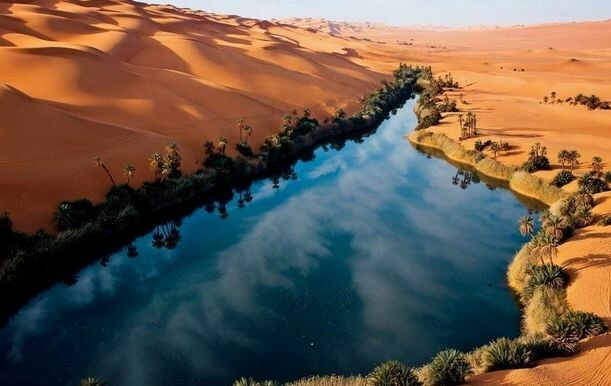 With the support of international organizations the country carries out a number of large-scale projects to combat desertification and climate warming. In their implementation experts and farmers rely on centuries-old experience of the Uzbek people in agriculture while neighboring the great deserts - Qizilqum and Qoraqum. 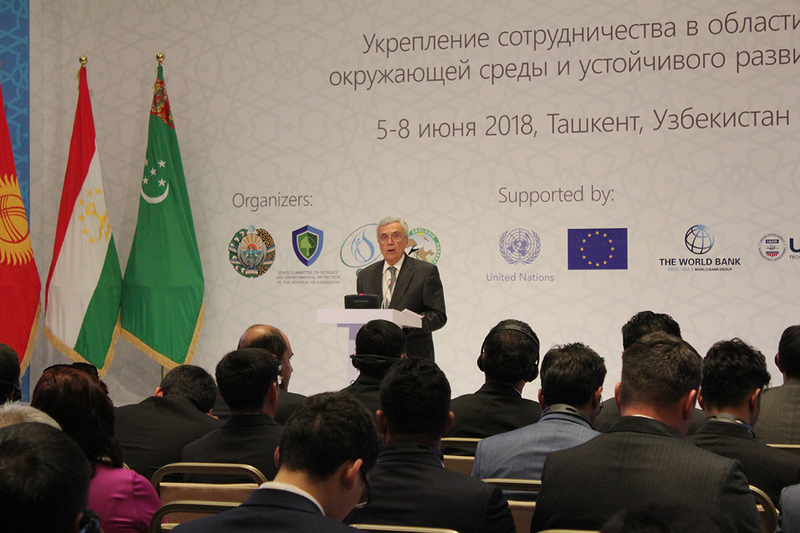 In 1995, Uzbekistan was the first among the CIS countries ratified the UN Convention to Combat Desertification, and actively participates in various international programs for its implementation. Every year hundreds of new industrial, social and cultural objects appear in cities of Uzbekistan created using the most advanced building materials and technologies. It is very important that in designing of them a lot of attention is given to new standards of urban planning and construction. Leading role in this process to date occupy domestic carriers. SRJSC ‘Uzbekistan Railways’ and NAC ‘Uzbekistan Airways’ consistently implement programs on creating comfortable infrastructure available at railroad stations and air terminals in our country. For example, today all air terminals have all-round conditions for passengers with disabilities, including ramps for passengers with disabilities, appropriate tools and equipment in the premises of the terminals. At the same time, passengers with disabilities could free of charge carry their wheelchairs and other assistive devices, as well as service-dogs. The same situation in the railroad stations as well. The above combination constitutes a slogan highlighting the major idea of the EcologicalMovement of Uzbekistan that stands for consolidation of society’s efforts in addressing the underlying environmental challenges facing the country. A year ago, the founding conference was held to establish this major public organization whose emergence was determined by the times as well as the willingness of the public to address contemporary environmental issues. The movement has united both ecological nongovernmental organizations and scientists, specialists in the sphere of protection of environment and healthcare of the population. Nowadays, there are representatives of different occupations and age groups among the movement’s activists who understand and support the essence of these words which have an important common significance “Healthy Environment – Healthy Human”. Last week the lower house of parliament discussed some priority tasks of its activity and adopted the report on the Ombudsman’s activity in 2009. Previously the Council of the parliament’s lower house discussed the priority directions of the activity of the Legislative Chamber of Oliy Majlis outlined in the report by the President Islam Karimov Upgrade of the Country and Formation of Strong Civil Society is our Key Priority. The Council adopted a relevant resolution and considered the report of the Ombudsman. Those issues were thoroughly studied during a week by political parties’ factions and deputies of the Ecology Movement.